DO-39755-31 was succesfully added to your cart. Use the power of thermal imaging in hazardous locations. 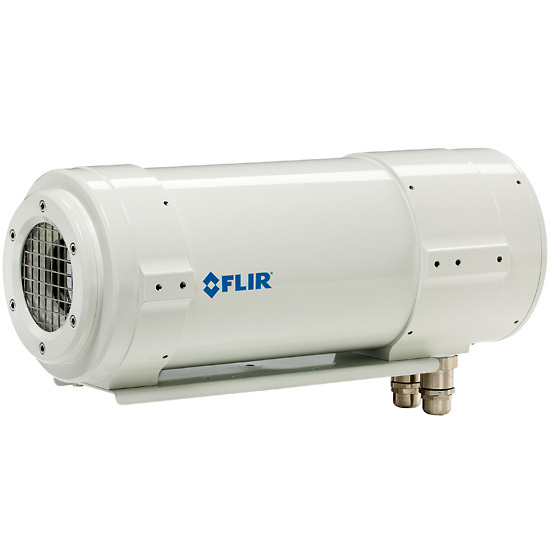 FLIR A310 ex is an ATEX compliant solution, with a thermal imaging camera mounted in an enclosure, making it possible to monitor critical and other valuable assets also in explosive atmospheres. Process monitoring, quality control and fire detection in potentially explosive locations are typical applications for the A310 ex. Explosive atmospheres need to be protected from ignition sources by selecting equipment and protective systems which meet the requirements of the ATEX Product Regulations or similar regulations. Flame-Proof Enclosure -Prevents any explosion transmission from the inside of the enclosure to the outside. For use in harsh environments: IP67 - Ideal to install in dusty environments. Integrated controller -The integrated controller features several digital I/O channels and sensors for temperature, humidity and pressure. Among other functions, the I/O channels enable the user to switch on/off the camera and the heater via remote control. The access is accomplished through an integrated web interface or Modbus TCP/IP. Flexible integration - The integrated controller is equipped with 2 fiber optic and 2 Ethernet parts. This enables a flexible network integration in star or ring topologies. Heater - Comes with a heater which effectively prevents fogging and freezing of the protection window. Plug and play installation - Lightweight and the entire system is delivered ready for ushe FLIR A310 camera offers an affordable and accurate temperature measurement solution for anyone who needs to solve problems that do not call for the highest speed or reaction and who uses a PC. Due to to its composite video output, it is also an excellent choice for thermal image automation applications, where you can utilize its unique properties such as looking through steam.